You need to load chosen plugin to style list box fields like this. 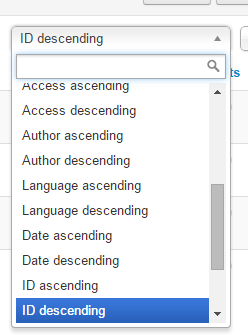 Note: The search box will be shown inside the listbox if there are 10 or more options inside it. See the below sample jQuery code that will be added by Joomla. Not the answer you're looking for? Browse other questions tagged jform joomla-3.4 form-fields-types or ask your own question.